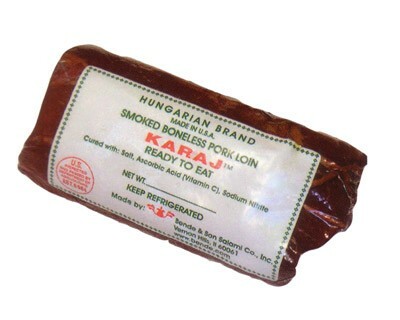 "Karaj" Smoked Pork Loin is a traditional gourmet smoked meat from Hungary. Lean and incredibly smoky, Karaj has no fat content, and it is of rich red color. 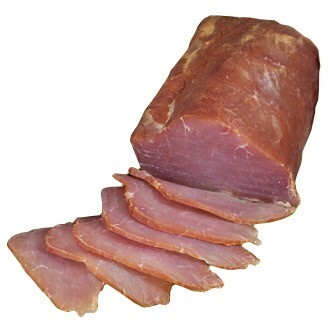 This meat is perfect for stews, goulashes, soups and antipasto dishes.